The entire process of color sorting is primarily technology oriented. Here in, CCD technology is used that performs high-resolution-optical inspection of each and every kernel. 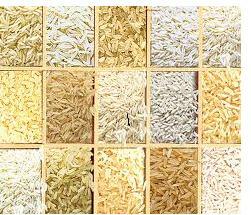 The technology aims at kernels that are predominantly chalky and discolored, bringing their concentration down. As a result, the final product gets a uniform look. With the use of state of the art technology, Parwaz Overseas Pvt. Ltd. does this task quite successfully. It makes use of Sortex A-5, one of the highly acclaimed color sorters. This color sorter has been provided by the Sortex of London. Such is the efficiency of this sorter that there are only 4 discolored kernels in every 45,000 good kernels. Now not every processor can offer you such a high degree of accuracy.